The Young African Leaders Initiative has said that the circus unfolding regarding the national dialogue should come to an end forthwith so as to ensure that the dialogue process comes into actualisation before the 2021 general election. YALI President Andrew Ntewewe said that the country is not in a crisis hence insinuations that there is need for a restoration of the rule of law or order in the country was unrealistic. 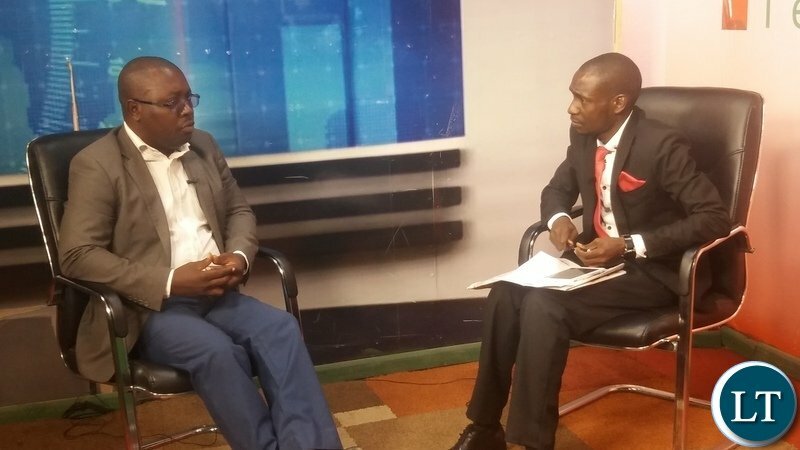 Speaking when he featured on Prime TV’s breakfast show Ntewewe said the country can not be on standstill because of some imagined crisis and that if stakeholders continue with the circus then government should continue with reforms through parliament. Mr Ntewewe said that his organisation was hopeful that stakeholders would be magnanimous enough and accept their roles in the much talked about dialogue process. “For us it is our prayer that magnanimity can prevail, it is our prayer people should not have hidden agendas, not any single stakeholder must try and hijack the process, the national dialogue must be a wholly Zambian owned process, must be a process that all of us say this is how we proceed but if for instance the circus continues let me not mince my words, we call on government that if the circus continues let us proceed, let’s take these constitutional amendments to parliament, let’s take the electoral reforms to parliament, let’s take the Public Order Act to parliament” he said. He wondered how the dialogue process outcomes would be implemented without the involvement of the politicians whom he said would have a last say as what ever reforms which would be agreed on would have to go to parliament. “Why are we creating an impression as if there is a crisis in the country, as if the country is at war. Is the country at war? No! The country is not at war. What we have is a normal business which must be to dialogue on. What are we suppose to dialogue on? We are suppose to dialogue on issues of constitutional reforms, issues of electoral reforms, we are suppose to dialogue on the Public Order Act. Those are the issues we are suppose to dialogue on but most importantly this dialogue is beyond UPND and PF, this dialogue is beyond President Edgar Lungu and Hakainde Hichilema, it is about this country, it is about this nation. “We don’t want in 2021 to have problems of no this one is not happy with this or that no! We want everybody to be happy with a proper constitution were everybody is agreed on, that is what the dialogue is about. It’s not restoring law and order, it’s about restoring fundamental human rights because each and everyone of us is living in peace,” he said. He also urged losers in the last elections to accept the outcome of the elections as opposed to trying to get into government through a back door. He said elections results reflect the will of the people hence one shouldn’t force himself on the people by way of negotiating a government of national unity. Ntewewe was commenting on the recent events regarding the dialogue process which has stalled due to the refusal by the church mother bodies to work with ZCID. President Lungu on Monday said ZCID should be at the centre of the process with the involvement of the Church while the UPND has set engagement rules insisting on the Church Mothers Bodies to be at the centre of the process. Well said, Andrew. This negative energy that has gripped the nation is amazing. People have convinced their minds that the sky is falling. All because of a disgruntled few who crave power so much, they would kill to have it. How evil. Well Mr ntewewe is himself a joke ..
Good perception Mtewewe, all know that some politicians have a bad agenda for this forthcoming national dialogue .They are shameful now that even their pay masters knows that Zambia is at peace as usual. Indeed for HH and UPND to state to the nation that there is breakdown of law and order in Zambia and that people are suffering confirms that he is out of touch with reality on the ground because when UPND comes to power they will not buy free food for all Zambians or allow crmininality. The institutions of power of the judiciary, legislature and executive will remain intact as per Zambian constitution. Unless UPND will change everything including governance institutions. Do you mean the Constitution of Zambia, the one which Constitutional Court has abrogated more than once? The church in Zambia is in a confused state and doesn’t know what to do. The dialogue must be spearheaded by the politicians themselves since they know what is amiss. The church can only come in the advisory role, not what they want to do.The only Church leade leader who was sober-minded was the Late Stephen Mumba,the then Anglican Bishop of Lusaka,May His Saul Rest in Peace eternally.He manged to bring the MMD and UNIP and resolved the impasse amicably and the country became be a multiple once more.The church leaders we have today are cargo minded!!! The belief that it is only two parties existing must be done away with.These parties are the ones making the dialougue difficult to be held.You remember how unip made itself irrelevant?It boycotted the elections!! Just because someone is under pressure from his sponsors for having lost elections? You are absolutely right Andrew, CLOWNS like you should be allowed ONLY in the circus.